It’s something about my husband that I’ll simply never understand, but he’s one of those strange (my opinion only obviously) people that prefers soap over shower gel – I just don’t get it! Anyway, Natures Commonscents is a Coles-stocked brand of cruelty-free soap that I had actually not seen before he found it on a recent grocery trip. 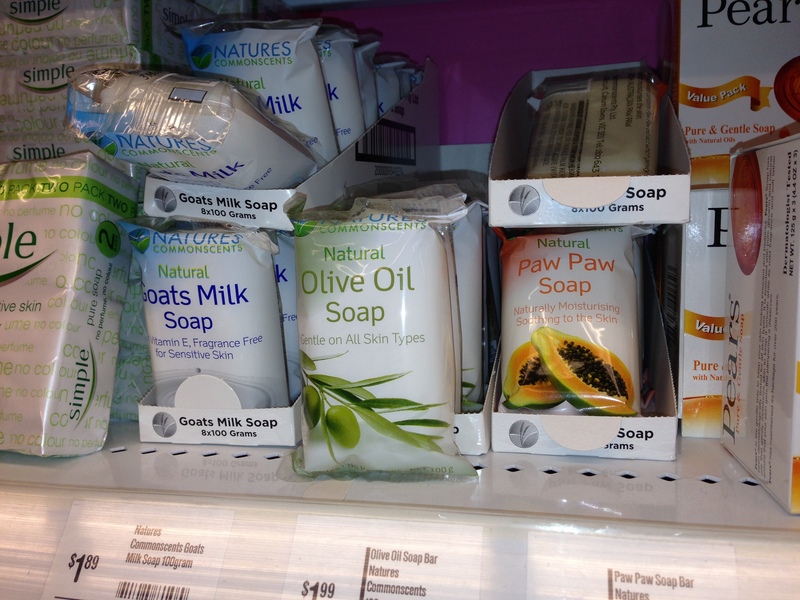 Priced between $1.89 and $1.99 a bar, the range includes goats milk, olive oil and paw paw varieties. With no animal products in the ingredients and no animal testing it gets the first tick of approval – and even I’ll admit that it also held up well in the ‘in shower’ testing. The scent wasn’t over powering, and it left my skin cleansed, but feeling neither dry or greasy (my usual complaints about most soaps I have tried).